Daily News article about the garden! 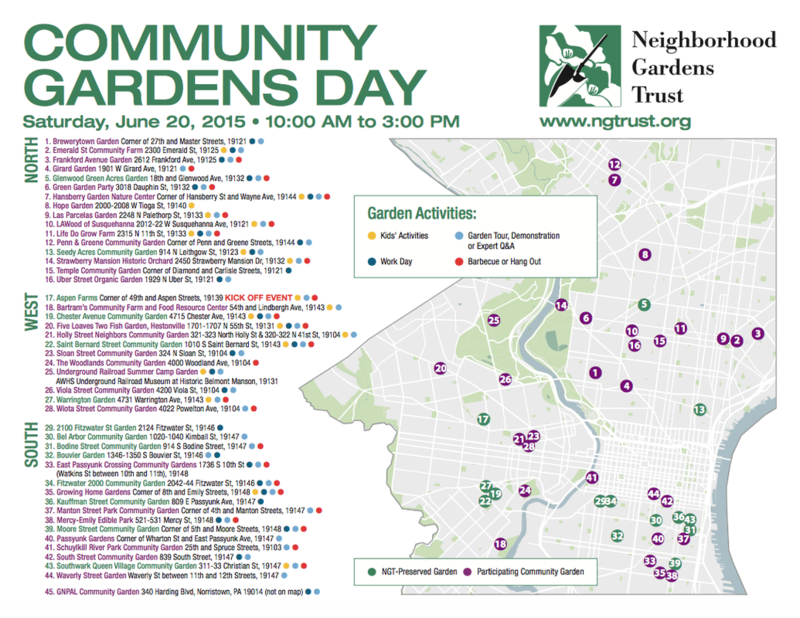 Neighborhood Gardens Trust will rejoice and celebrate community gardens and pocket parks, which are essential to the fabric of any city and especially OUR city, Philadelphia. With the purpose of bringing the benefits of community gardens front and center, this year 45 gardens across Philadelphia will participate in Community Gardens Day. Gardens will be open between the hours of 10 a.m. and 3 p.m and will celebrate with a variety of welcoming activities. 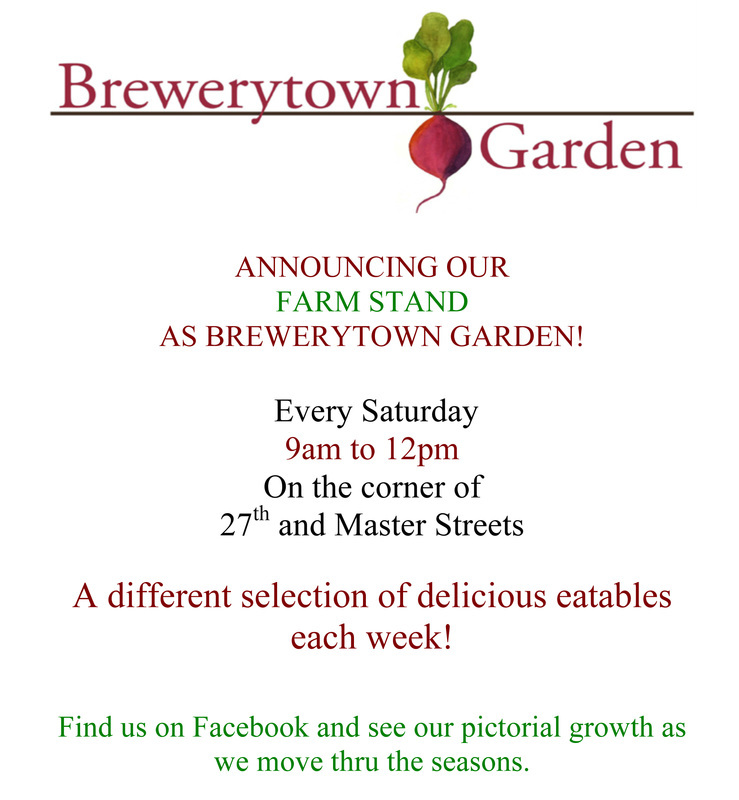 Brewerytown Garden is participating -- we're #1 on the map! Stop by and get a tour of the garden, shop our Farmstand (9-noon every Saturday), or pull some weeds & mulch with us as part of our monthly cleanup! More information here. Saturday Vegetable Stand is now OPEN! Locally grown, organic, fresh produce at very reasonable prices is available at Brewerytown Garden's Vegetable Stand every Saturday (unless it's pouring down rain). Offerings will change weekly but look forward to lots of greens, strawberries, tomatoes, okra, corn, herbs, onions, melons, honey, and more! Stop by and visit, buy some veggies, and get a tour of the garden. A hefty load of mulch arrived this week, and what perfect timing as the weeds were already creeping up. Our gratitude to MuralArts for making it happen!! Also, we have two important upcoming events in May. First is our MONTHLY ALL-GARDENERS MEETING set for Monday, March 4, 6:30-8:00. Attendance is encouraged but not required; all gardeners and anyone interested in the garden are welcome to attend. It will be held in the garden if weather permits; if it's rainy we'll be at the Church, 2808 W. Thompson Street. And -- our next CLEANUP DAY is set! Saturday, May 16, 9am-2pm. All are welcome to drop in, pull weeds and clean up, meet your neighbors, and enjoy some light refreshments. Hopefully we can get the grill fired up for the occasion! Stay tuned! 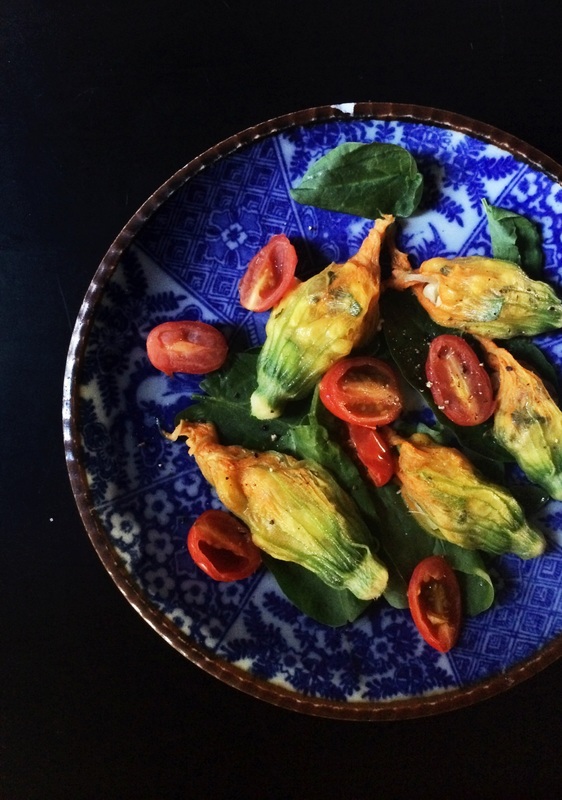 We have two exciting events coming up at the garden. 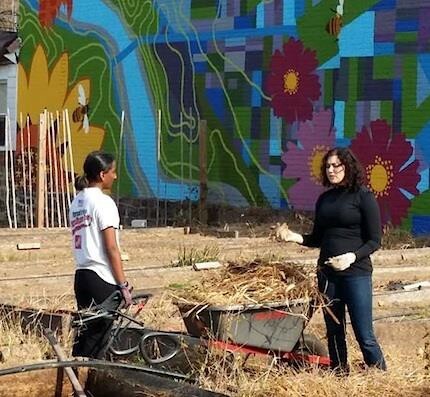 April 11th is the 8th Annual Philly Spring Cleanup Day and Brewerytown Garden is one of this year's participants. We invite all neighbors and volunteers to help us ready the space for this year's growing season! You can sign up to volunteer here. Cleanup is from 9am-2pm. * When do I plant my seeds, and what do I plant them in? * How much water will they need? * What soil is best? * How deep do I plant seeds? When is the right time to transplant them? * What do I do about those pesky pests? Jim will also show you how to make seed starting pots out of newspaper!